The Belle Chasse track team had a great showing at the State Championships! Two BC athletes earn LHSAA All Academic Team honors! 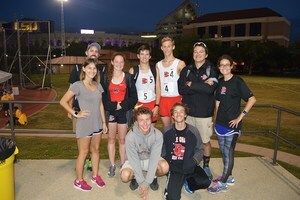 Congratulations to Amy Warren, Jade Talazac, Paul Mantzel, Alex Melcer, Kyle Merchant, and Kaymon Jones for their notable performances Saturday at the State Track and Field Championship. Special congrats to Alex Melcer for his 4th place finish in the 2-mile, breaking 10 minutes with is 9:59.47 finish. Special congrats also goes out to Jade Talazac who again broke her own school record in the 2-mile with a 12:15 4th place finish. 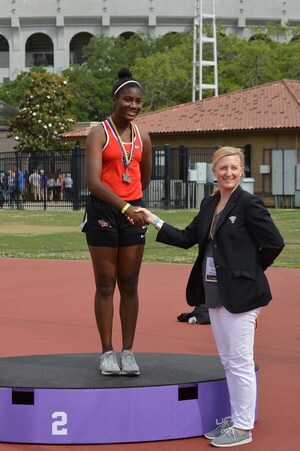 Finally, a VERY special congrats to Amy Warren who also broke her own school record in the Triple Jump with a 38 foot 10.5 inch jump to finish in 2nd place in all of 4A! Congratulations to Talazia Manuel and Lisa Dao for their exceptional balancing of athletics and scholarship! 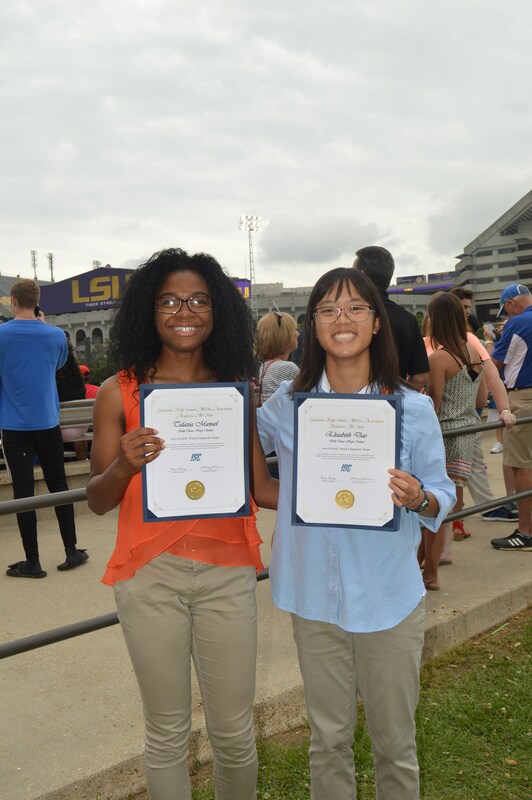 Both girls earned a place on the LHSAA All Academic composite team for Track and Field by maintaining a 4.00 unweighted GPA through through all 4 years of high school while participating on a varsity athletics team. This dedication to both academics and athletics makes both these girls true model Cardinals. Great job to all of our track and field athletes. Also, a special thank you to our amazingly dedicated track coaches: Coach Simoneaux, Coach McMann, Coach Comisky, and Coach Warren. We appreciate you!